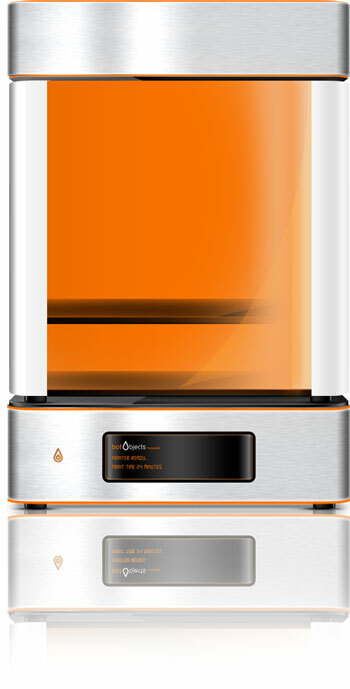 (Nanowerk News) botObjects who recently announced the ProDesk3D, the world’s first Full Color 3D Desktop Printer, are taking another leap ahead of expectation, opening for early orders as of today – at aggressive prices aimed at enabling most customers from home users, business professionals to educational institutions the opportunity to buy the ProDesk3D. While some observers pegged the launch price at $3000 or more, the firm decided to launch an early order price at $2,849 for the standard edition – hoping to make it an easier decision for customers as it is highly competitive with its contemporaries, yet significantly more advanced, and in a more mature stunning case. The company also announced today it’s next generation website, and along with it, released significant information that future customers wanted, such as 3D full color print samples created on the ProDesk3D. botObjects aims to show how advanced the ProDesk3D is, with color 3D printed samples never seen before in the 3D Desktop Printing category. Also, the firm announced technical information about the ProDesk3D, confirming an advanced specification aimed at delivering the first real 3D desktop printer for the mass market – with features aimed to deliver higher quality with color range, all-round ease of use, and printing speed. The firm also confirmed that the ProDesk3D will print at 25 microns – some 4 times more accurate than its competitors, and at a maximum speed of 175mm per second – delivering industry leading speed for an FDM 3D Desktop Printer. botObjects believes that the 3D Desktop Printing revolution, is the next great technology wave, much like the PC revolution, and will no doubt dramatically change the rate of innovation at home and in the workplace, while influencing the approach to education both in school and in industry. Areas such as product design, rapid proto-typing, many forms of engineering, architecture, precision-based manufacturing, home utility replacement, gaming & art and much more will dramatically change as a result of 3D Desktop Printers. As software becomes easier for people to create 3D models, the ProDesk3D aims to make this a reality, announcing its own easy-to-use ProModel Software, coupled with the ProDesk3D to enable customers to create the models of their choice very quickly and efficiently. botObjects announced it can now take early orders by telephone today, and expects to take early orders on its website soon. The firm confirmed that the first early order batch expect to ship 1st October 2013.